As a student at the University of Texas School of Architecture, Greg was inspired by the legendary architect Frank Loyd Wright and his vision of organic architecture. Wright described his philosophy in this way: "A building should appear to grow easily from its site and be shaped to harmonize with its surroundings." This philosophy could easily be used to describe Greg's log cabin tiny house named the Stanley. 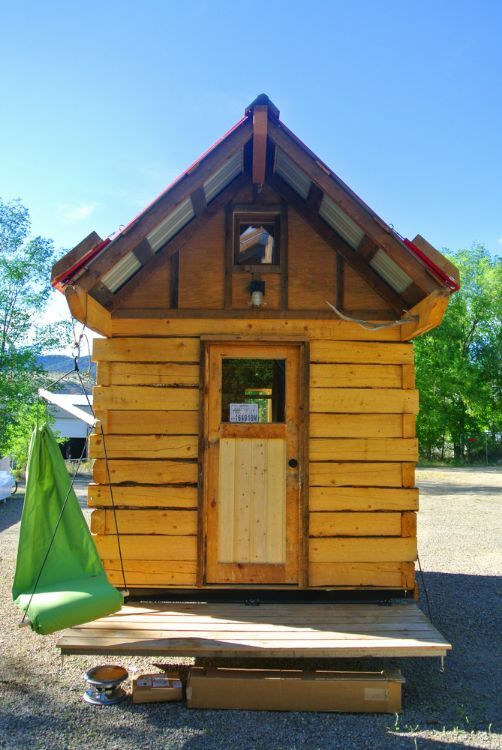 Greg came up with the idea to build a log cabin tiny house while he was traveling through Idaho. 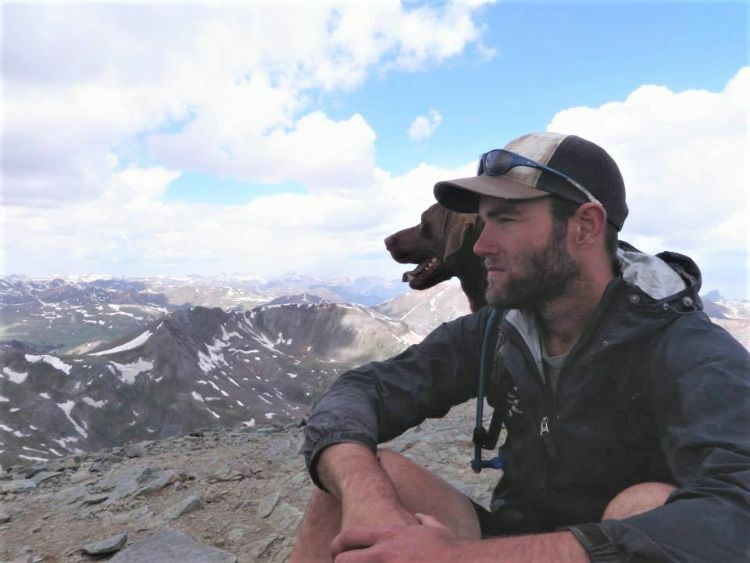 He visited the small town of Stanley, which lies in the Sawtooth Mountains along the Salmon River. Old log cabins still exist throughout this area. The beauty and buildings of this place influenced his design for the home he named after the town. 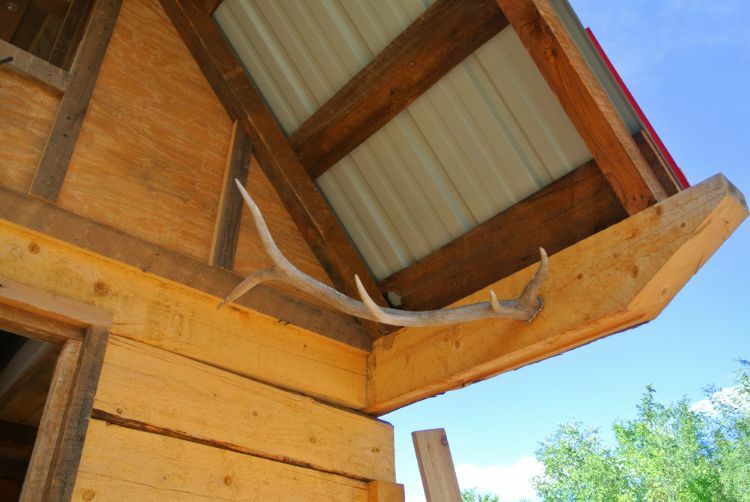 It's a home that is in harmony with its natural surroundings. 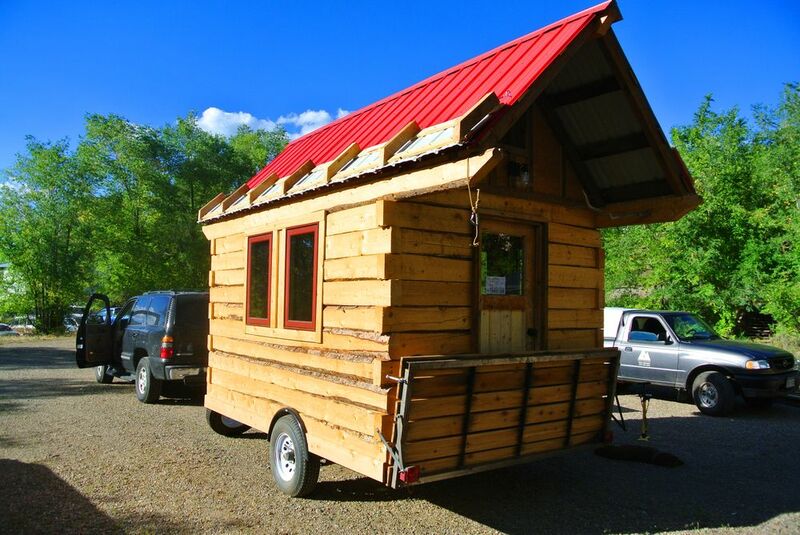 The Stanley is built on an 8-by-12 single-axle trailer, and its weight ranges from 4,800 to 7,000 pounds. 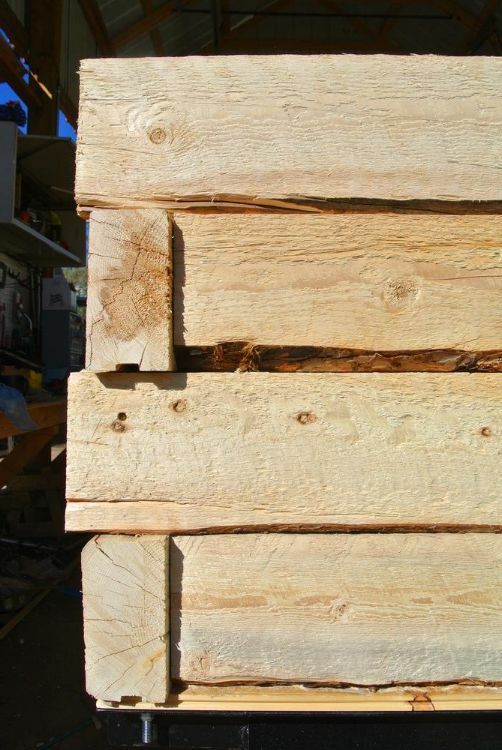 The weight depends on the type of logs used and other options. Greg found these elk antlers in the forest. He added them for decoration and also for a place to "hang stuff." 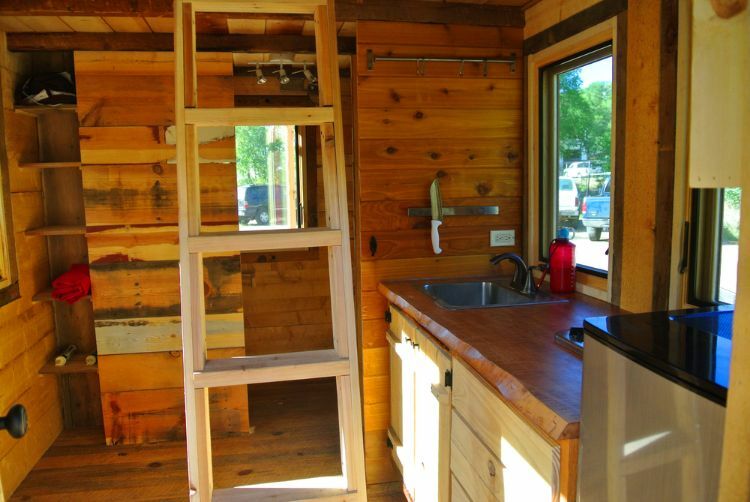 The kitchen contains a sink, a double-burner cooktop and a two-door refrigerator. Storage space abounds, provided by the shelves in the living room and in the kitchen cabinets, which are made from reclaimed wood. 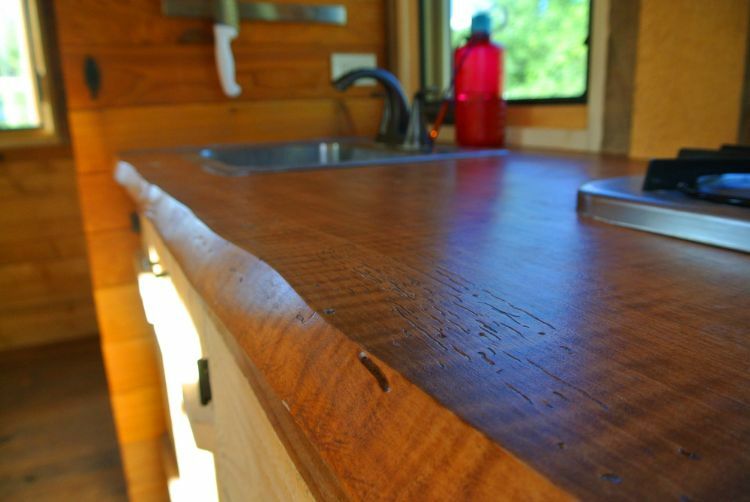 Greg made the beautiful countertop from maple slabs he found in a salvage yard. He loves the live edge: "It is cool! You can see where insects burrowed in and left squiggly marks." 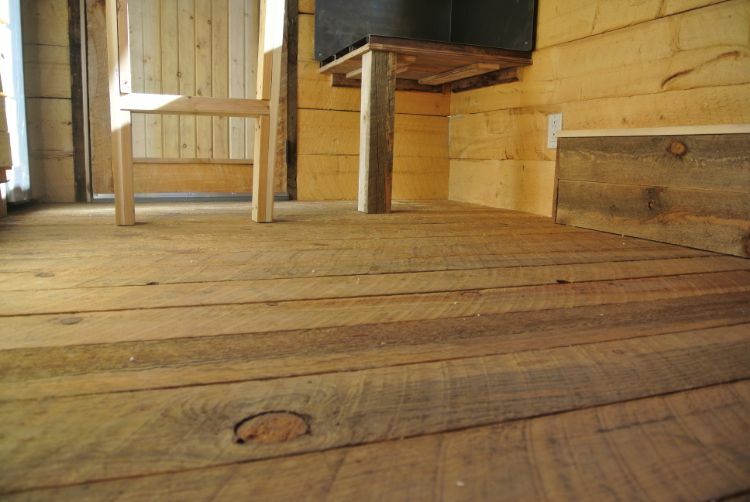 These floors are made from beetle kill spruce laid out in tongue and groove. 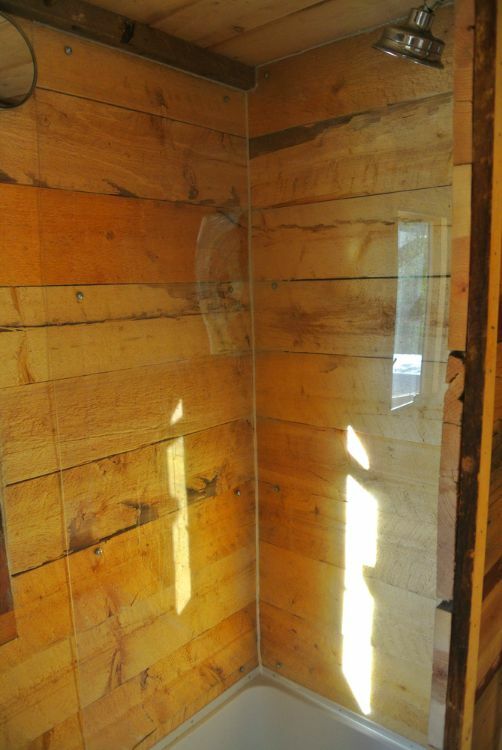 Two coats of natural tung oil provide the floor with extra protection. Large windows allow the light and the outdoor view to permeate the space inside. 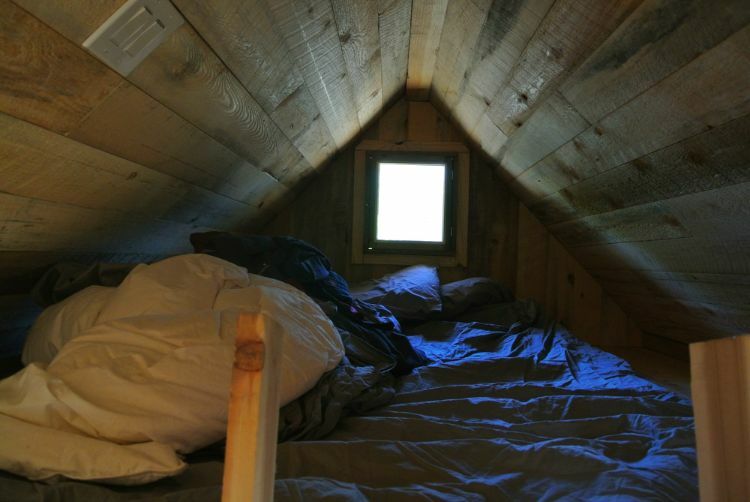 The upstairs sleeping loft is rustic and cozy. 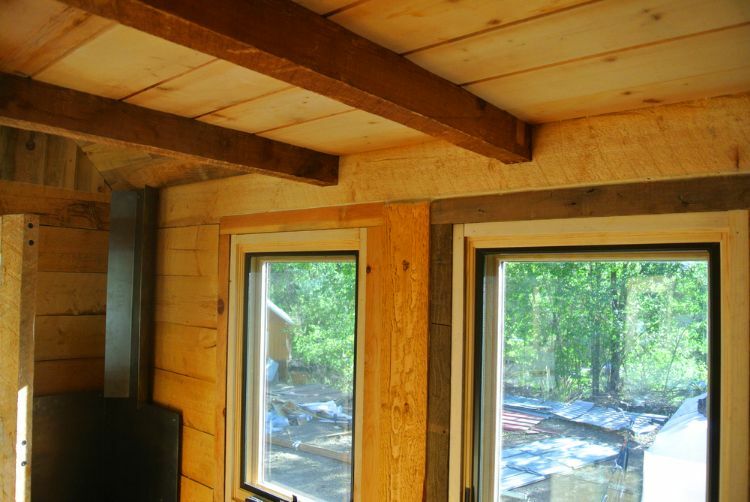 It's an ideal spot to rest after a day in the woods, and the window provides plenty of natural light. 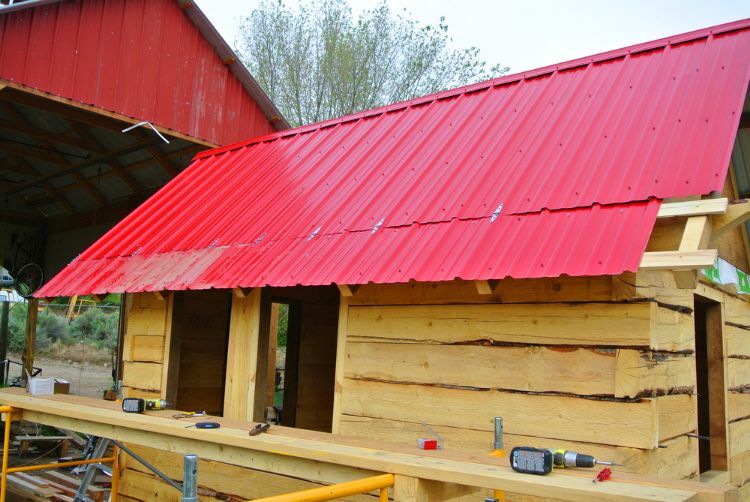 As a log cabin tiny house, the Stanley looks like it belongs in the countryside and provides people with a natural connection to the outdoors. Greg seems to offer his own perspective on organic architecture when he says "When you decide to shrink your house, the world around it somehow becomes bigger and you become more in tune with it. There is a lot less house to look at, and much more nature." Lifestyle and adventure photographer Ethan Abitz fulfills his childhood dream of staying in a tree house.